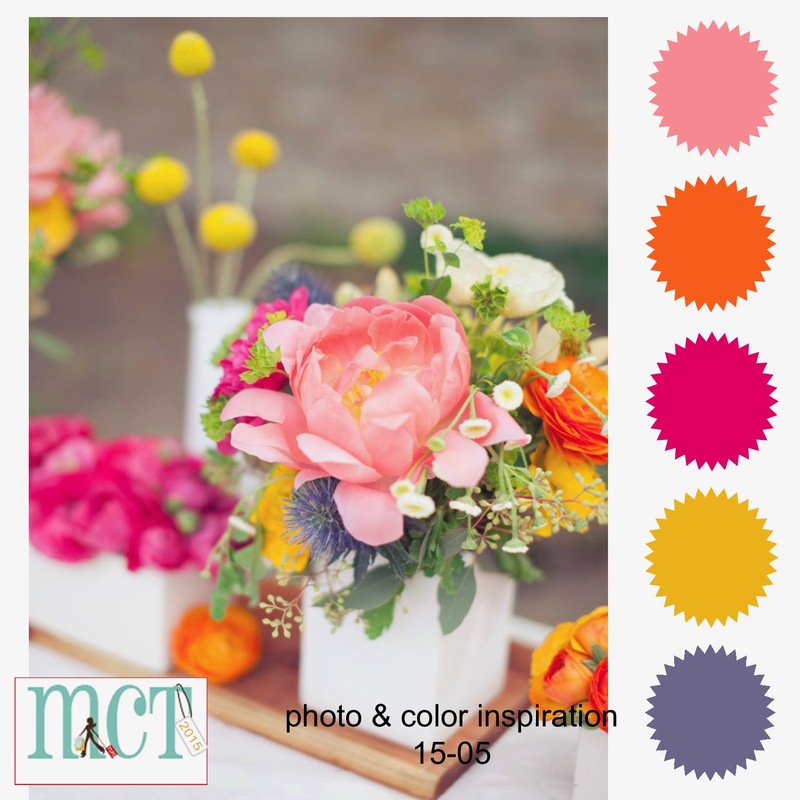 Liz's Paper Loft: MCT Designer Challenge ~ just a note! it's time for another Designer Challenge over at My Creative Time! This really is the best kind of challenge because you get to choose the challenge. What? You need me to say that again? Yes, you get to choose the challenge...you can choose between the colors, the picture, the sketch, or any combination. See why I say it's the best kind! 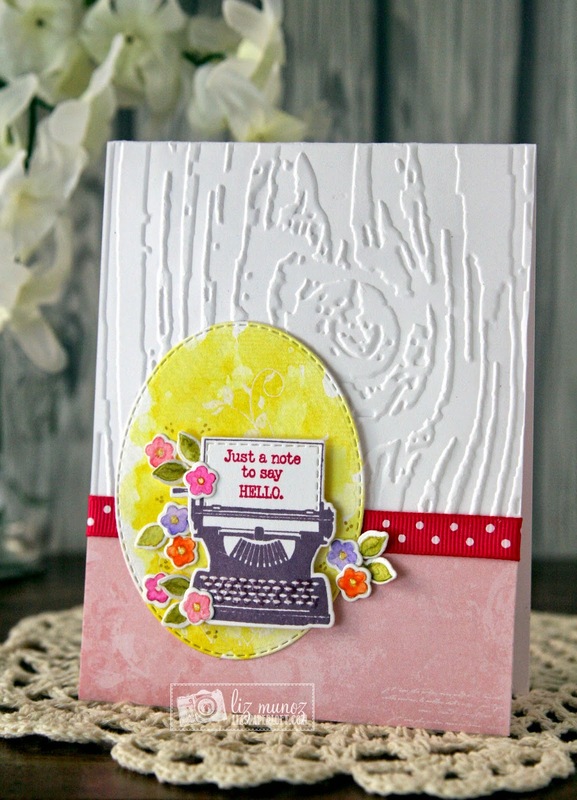 To create my card I first embossed the leafy stamp with clear embossing powder on the oval background. Once it cooled I water colored it with Tim Holtz Distress Ink with a yellow. After it was all dry I die cut the oval. Then on water color paper I stamped the flowers and leaves and water colored them with Stampin' Up ink pens. Again once dry, I die cut all of them. After I assembled all the pieces, I added wink of stella and glossy accents to the flowers. So gather your supplies, creativity, and join the challenge! OMG Miss Liz What a cute Shabby/Chic card!! 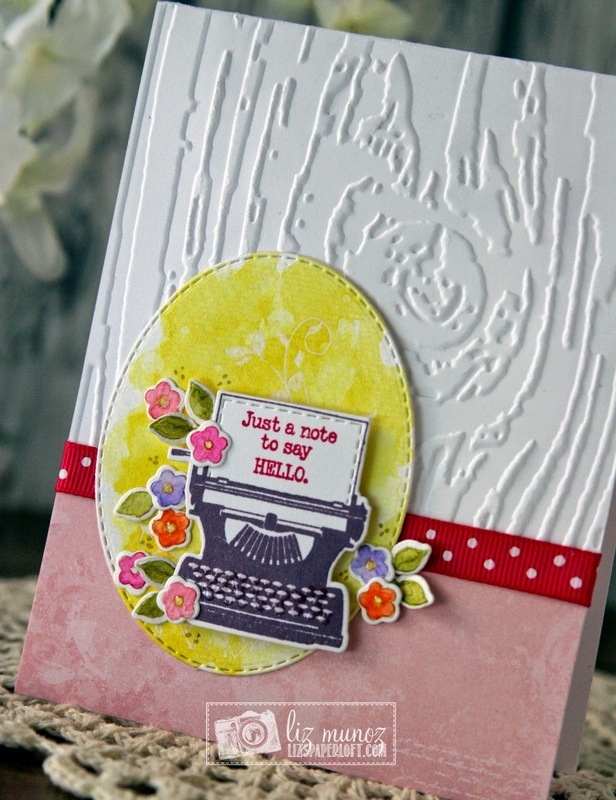 Love the cardstock you used it's awesome and definitely clever and creative ways you used Miss Emma's goodies. Love how your Water coloring came out just so pretty love too how you did your sweet bouquet of flowers so sweet. !! YOU ROCK!! Such a beautiful card Liz!!! LOVE those little flowers! 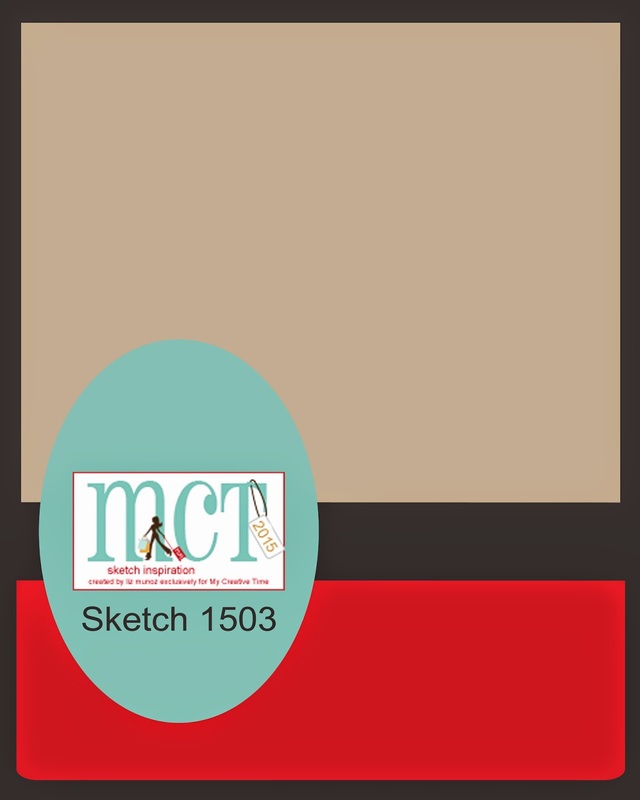 AWESOME take on the sketch and loving all the gorgeous spring colors!!!! Beautiful card! I love the flowers with the typewriter! So cute! I love your background yellow oval...it looks so pretty with the flowers and typewriter. The texture and dimension is beautiful. Great take on the challenge. The wood texture adds so much dimension and fun to the card. I love the technique you used on the oval. Oh Liz ~ this is GORGEOUS! I LOVE the whole sketch but how you did the itty bitty flowers ~ so GORGEOUS!! Beautifully done! 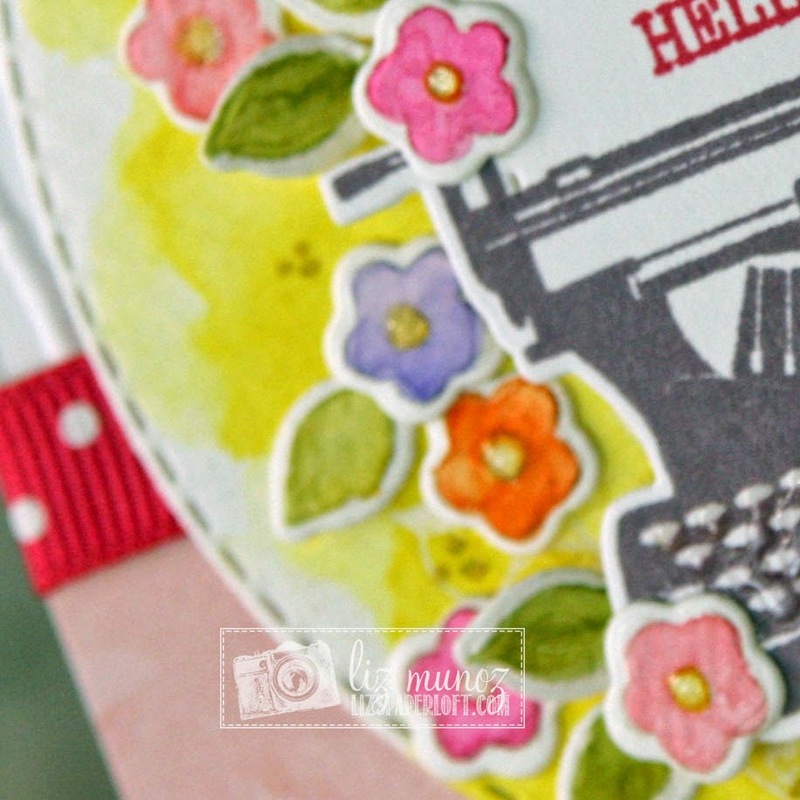 I wouldn't have thought to use flowers with the typewriter, so pretty!